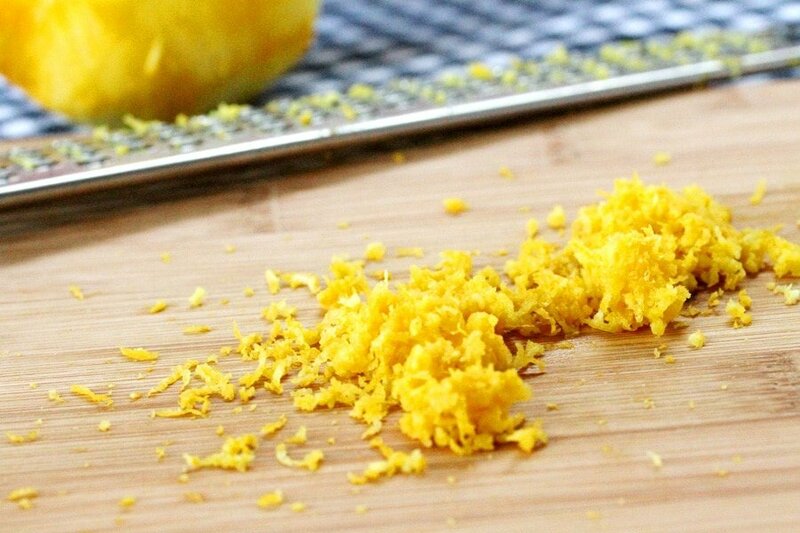 Super quick to make, even quicker to disappear. 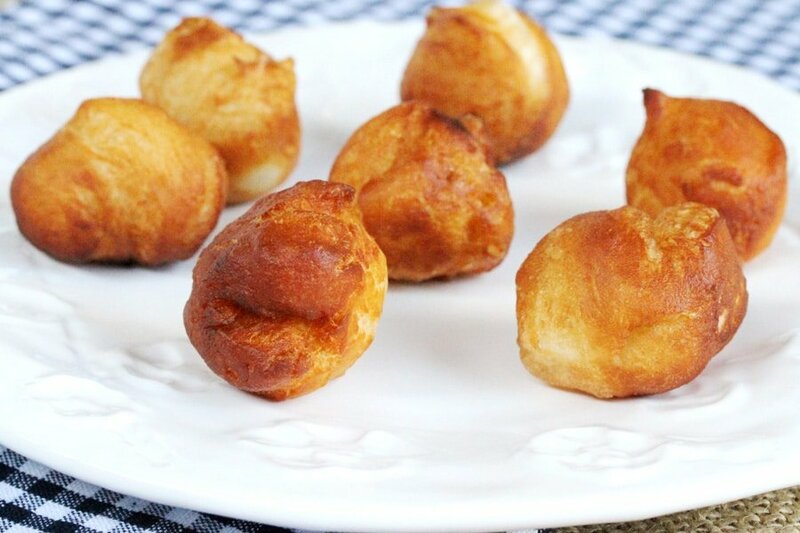 These super quick and easy doughnut balls are made with the tubes of premade biscuit dough found in the dairy department at the grocery store. 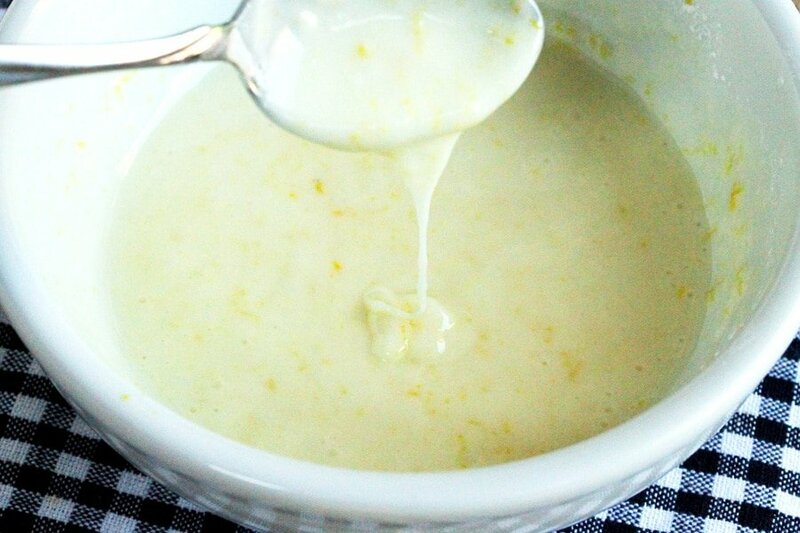 The least expensive ones that are either buttermilk or plain flavor work great for this recipe. 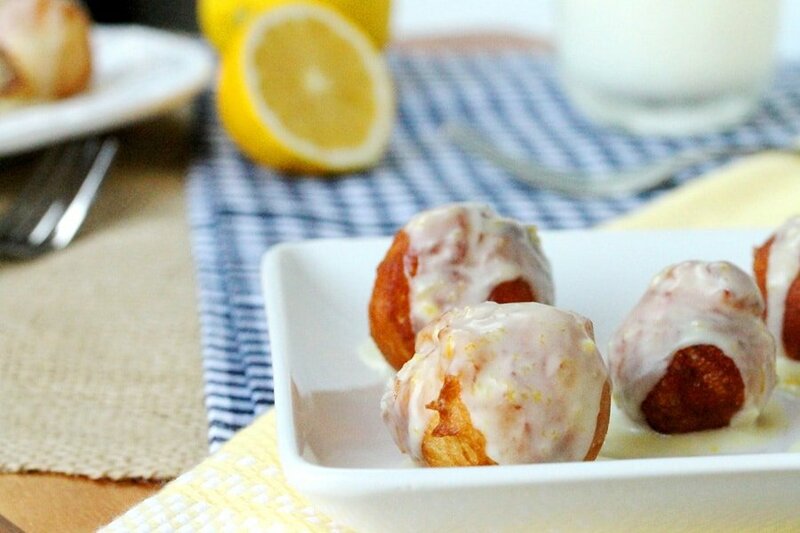 This recipe isn’t very fancy schmancy but these doughnut balls taste really really good. 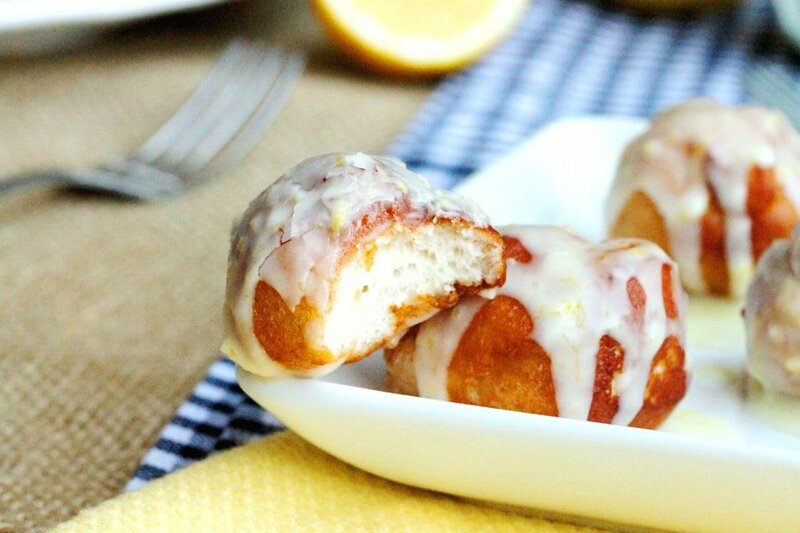 And best of all, they are so good with lemon glaze. 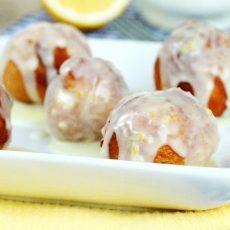 If you don’t have lemons or powdered sugar on hand, right after the doughnut balls are cooked, roll them in a mixture granulated sugar and cinnamon. Sooo good. You may want to have milk or coffee on had to go along with them too….just for good measure. 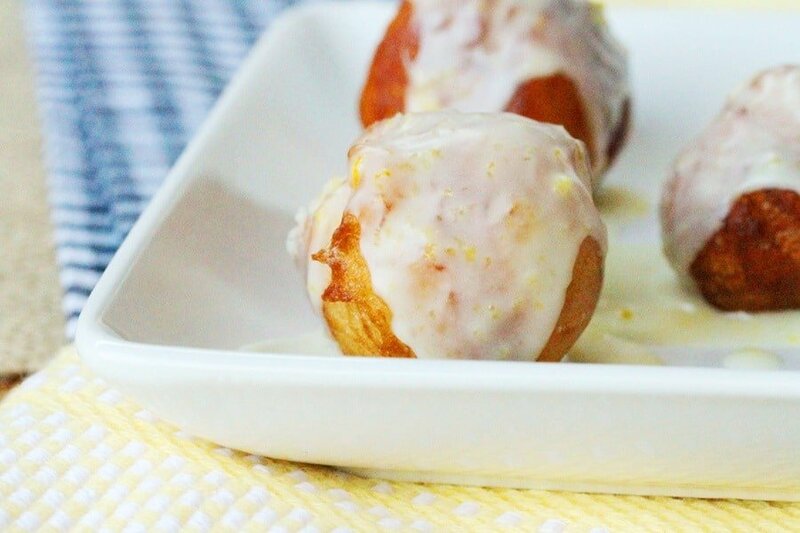 These yummies can be enjoyed for breakfast, dessert, or a fun snack. 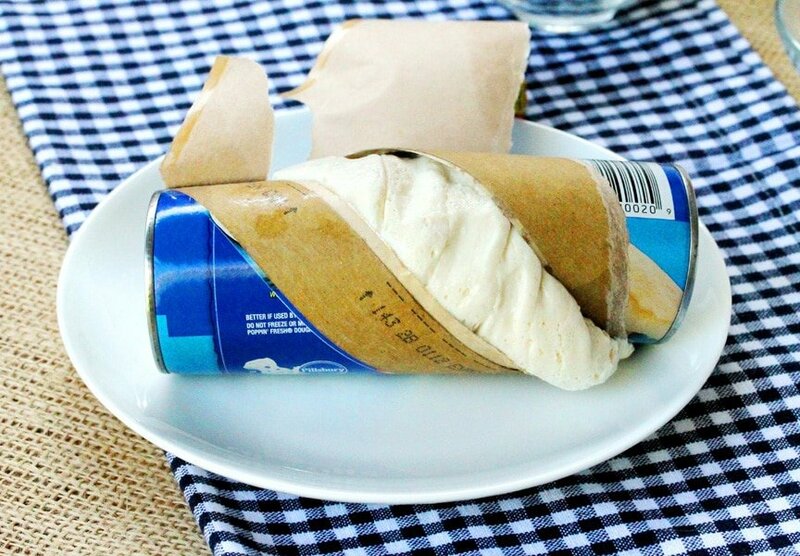 Lay a paper towel onto a large plate and set aside. and roll each one into a ball. 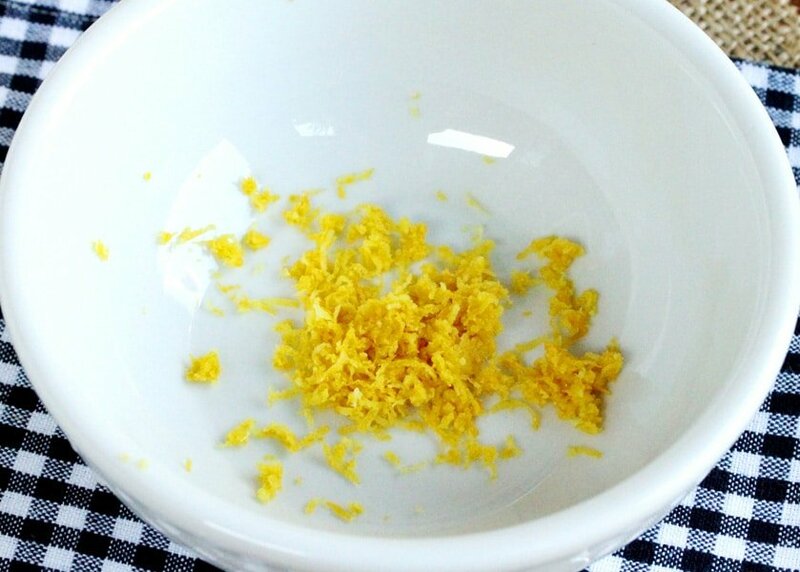 To a small saucepan, add canola oil. Heat the saucepan on low to medium heat. 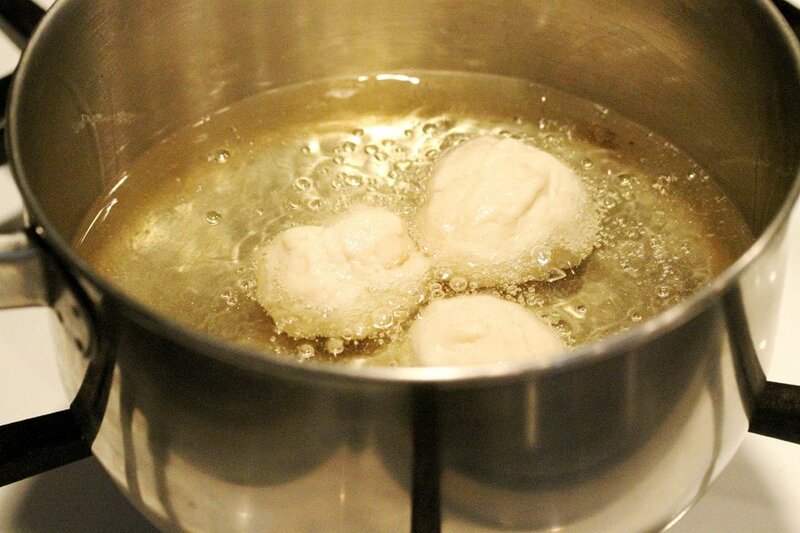 After 30 seconds, add 4 of the biscuit dough balls to the oil. They’ll cook fast so watch them very closely. 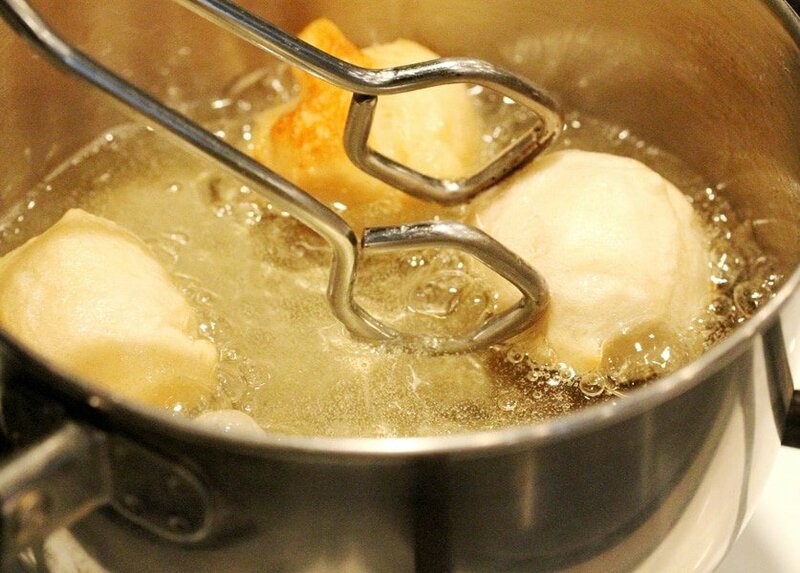 Turn each doughnut ball with tongs as they cook so that all sides turn a light golden color. 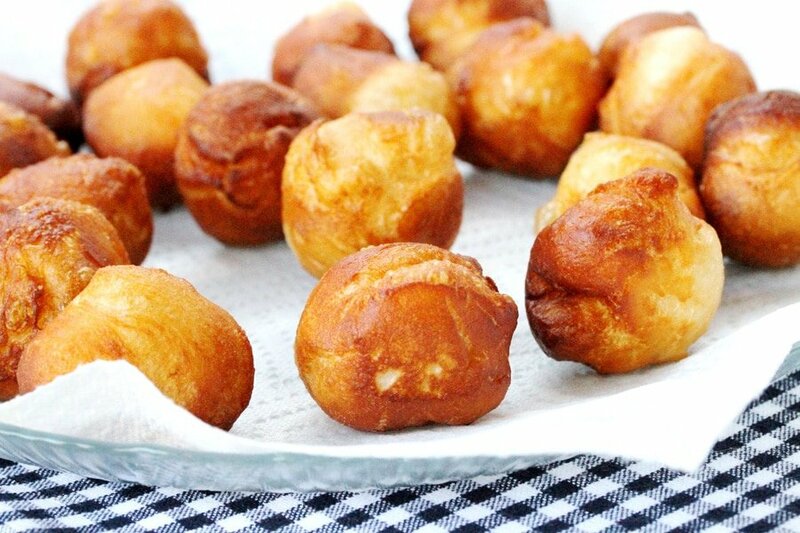 Once the sides of the doughnut balls turn a golden color, transfer them onto a paper towel-lined plate. 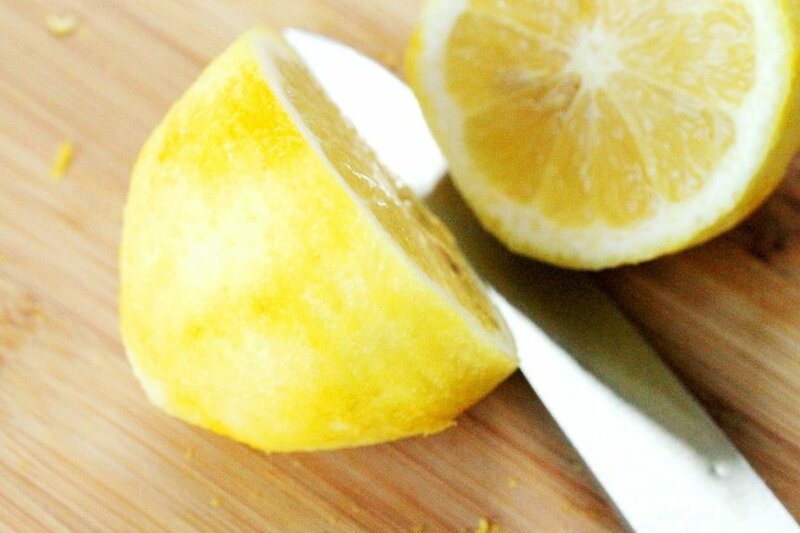 Continue the process to cook the rest of them. 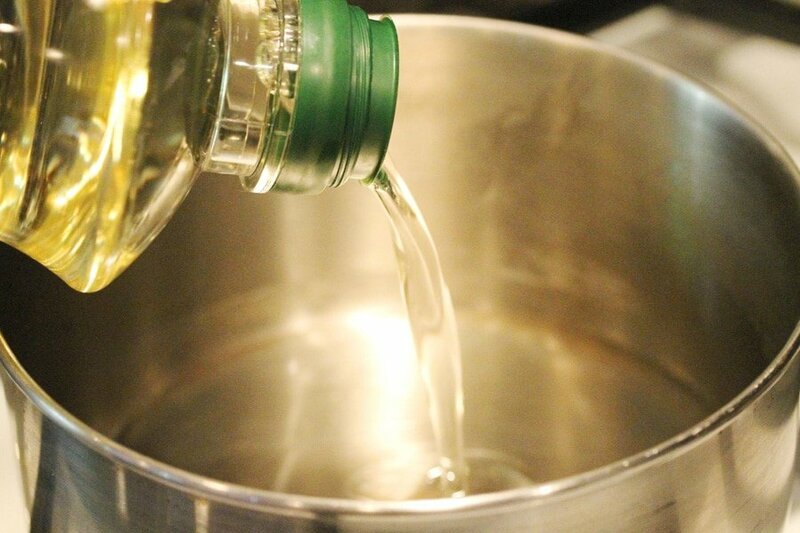 If they start to get brown too quickly when added to the oil, turn the heat down just a bit. 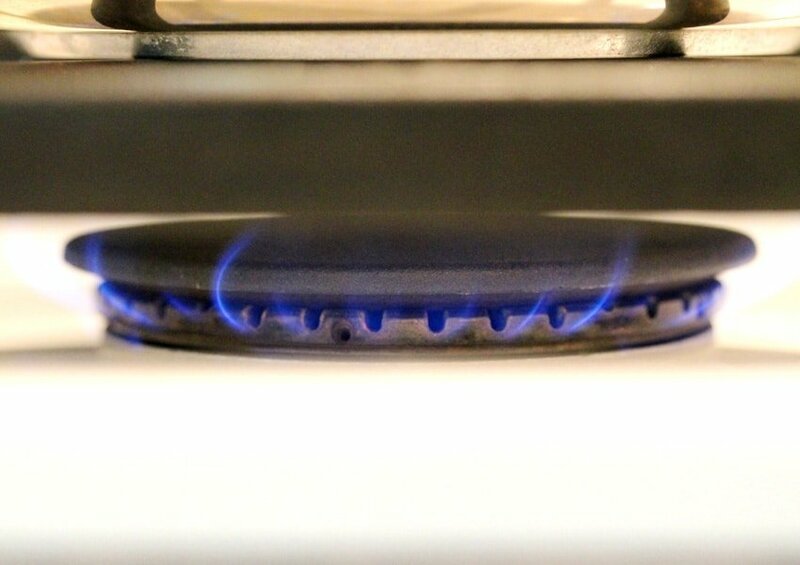 If at any time the oil gets too hot (smoky or a lot of sizzling), turn the heat off and set the pan on an unused burner to cool. 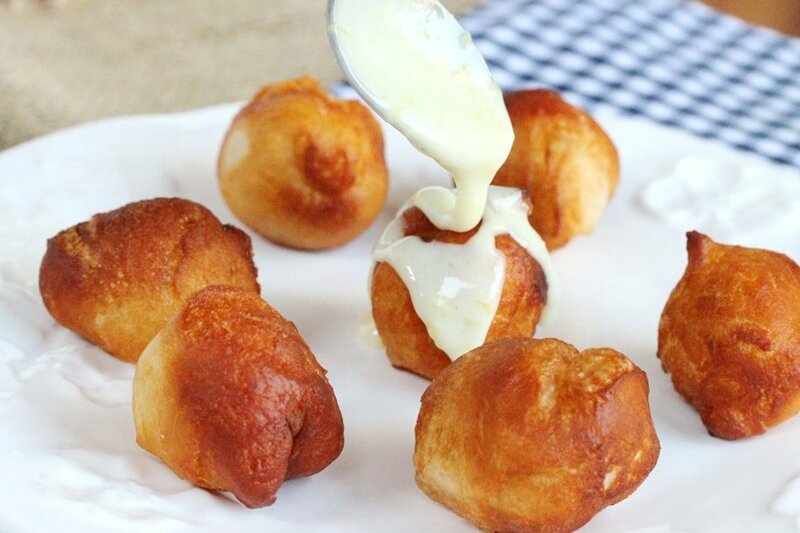 Once all of the doughnut balls are done, set them aside for a moment while making the glaze. 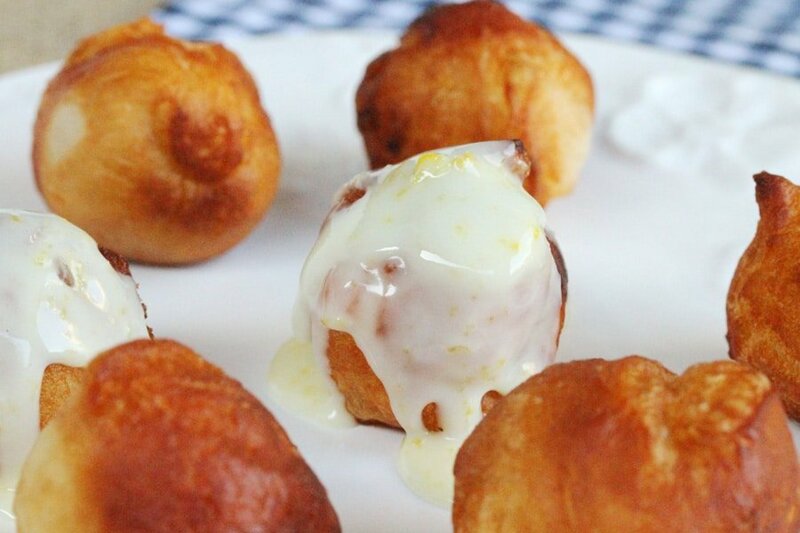 …drizzle lemon glaze over the top of each doughnut ball. 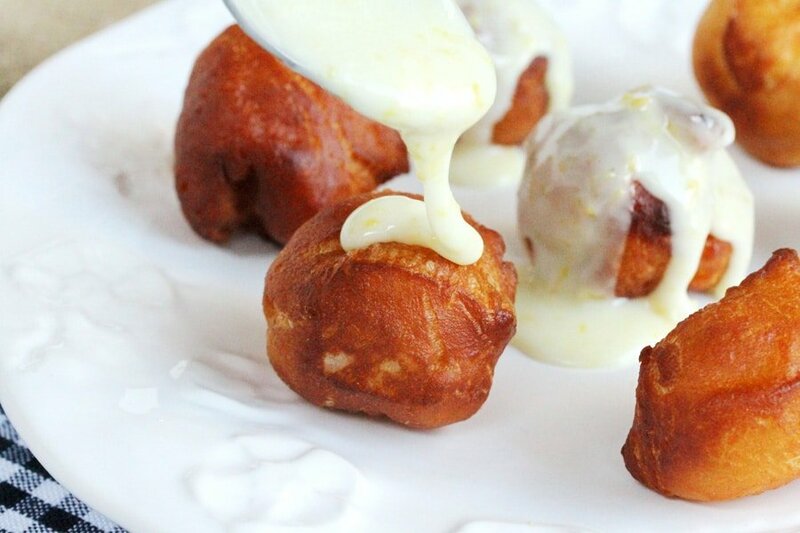 Serve right away while the doughnut balls are still warm. 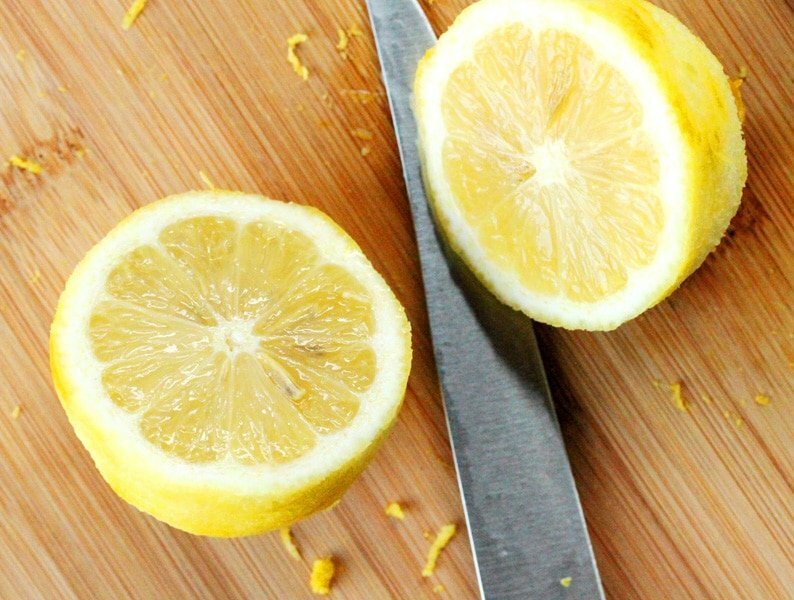 …either way they taste heavenly. 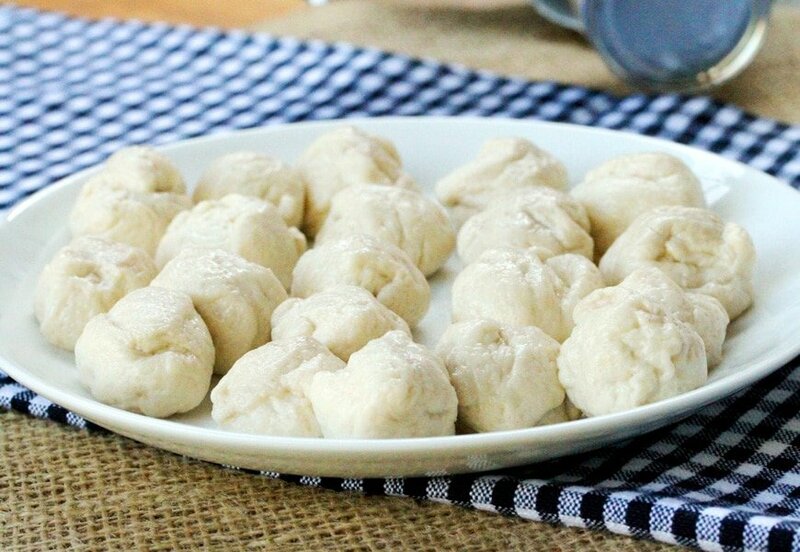 Tear each piece of biscuit dough in half and roll each one into a ball. 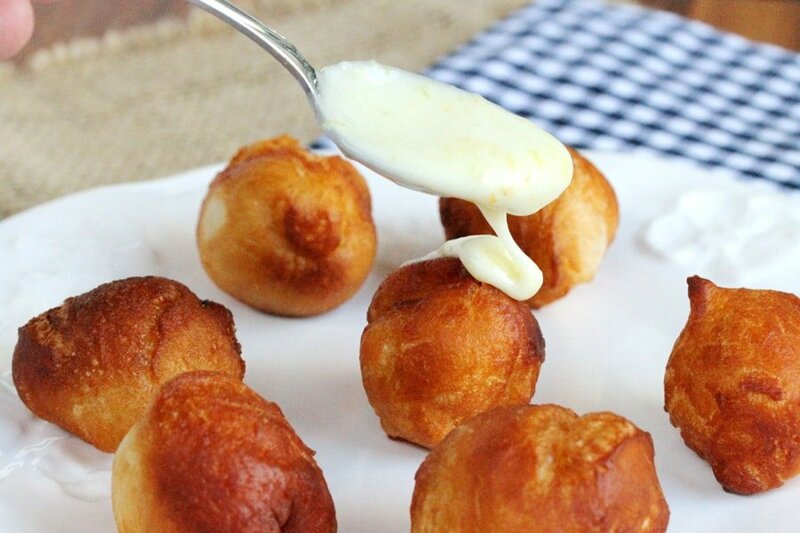 Set the rolled balls on a large plate and set aside for a moment. 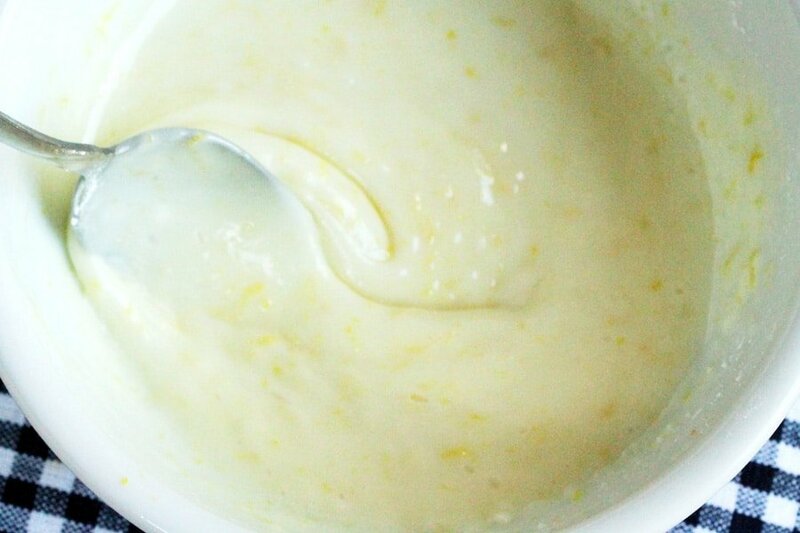 To a small saucepan, add canola oil. Heat the saucepan on low to medium heat. 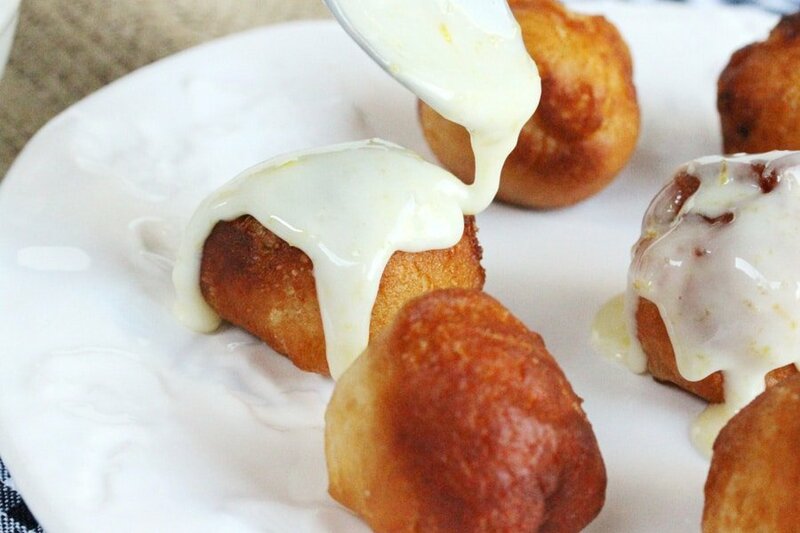 Continue the process to cook the rest of the doughnut balls. 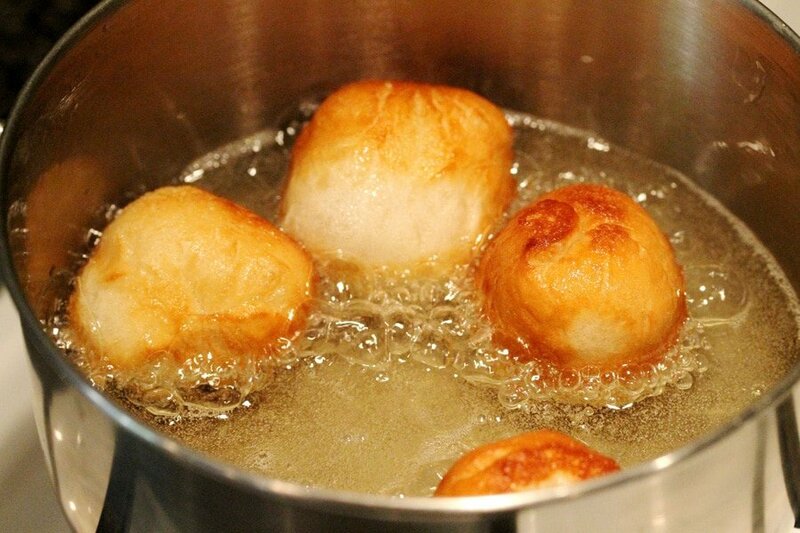 If the doughnut balls brown too quickly when added to the oil, turn the heat down just a bit. 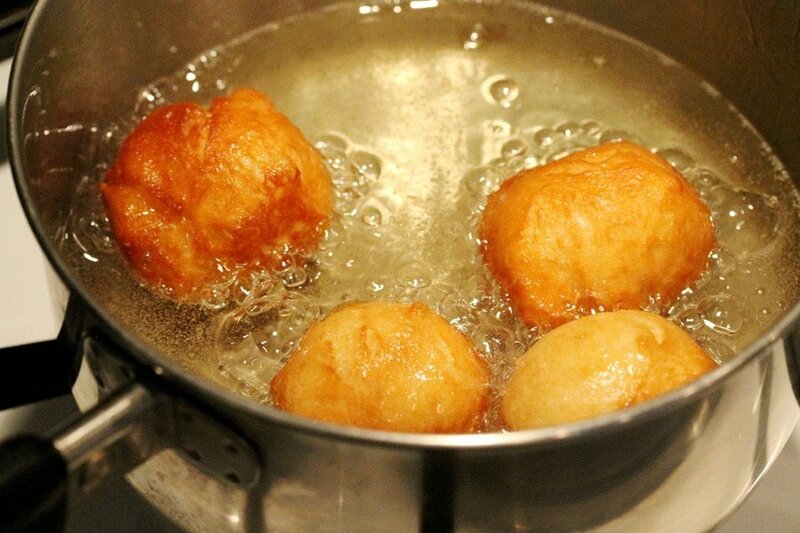 Once all of the doughnut balls are done cooking set them aside for a moment while making the glaze. 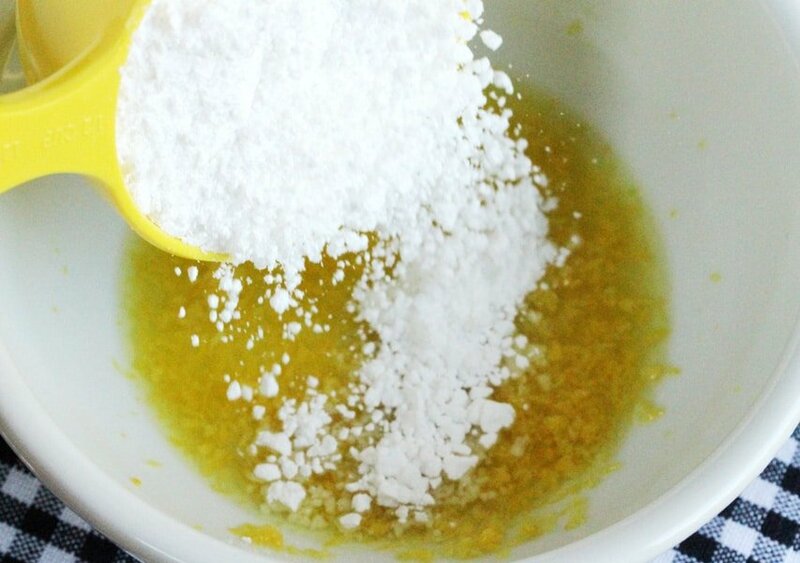 To a small bowl, add lemon zest, juice from a whole lemon and powdered sugar. 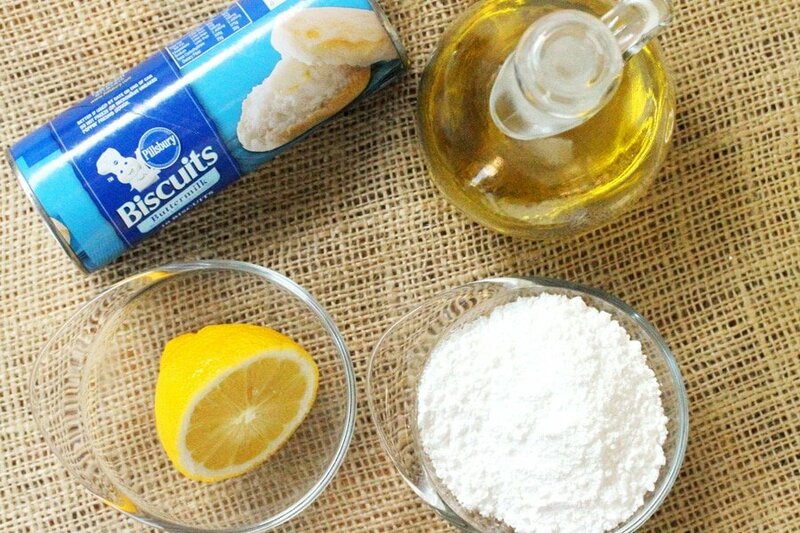 Mix together until smooth. 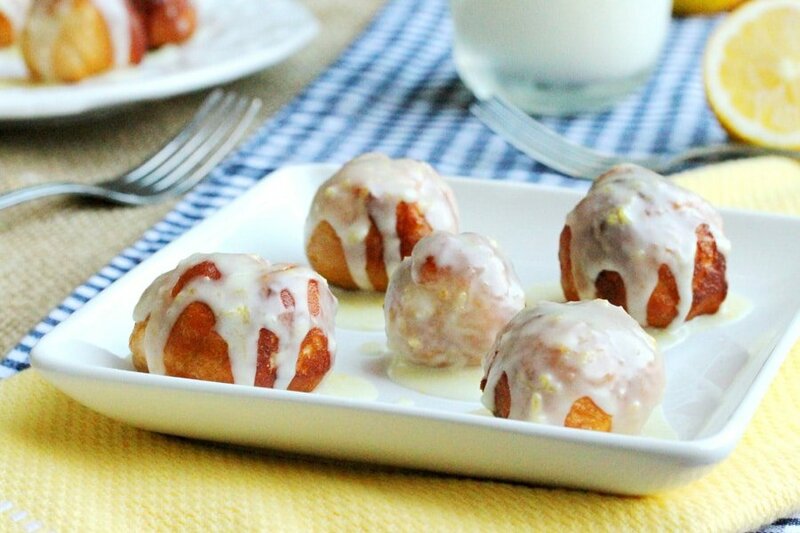 Place the doughnut balls on a serving plate and drizzle lemon glaze over the top of each one. OMG!!! 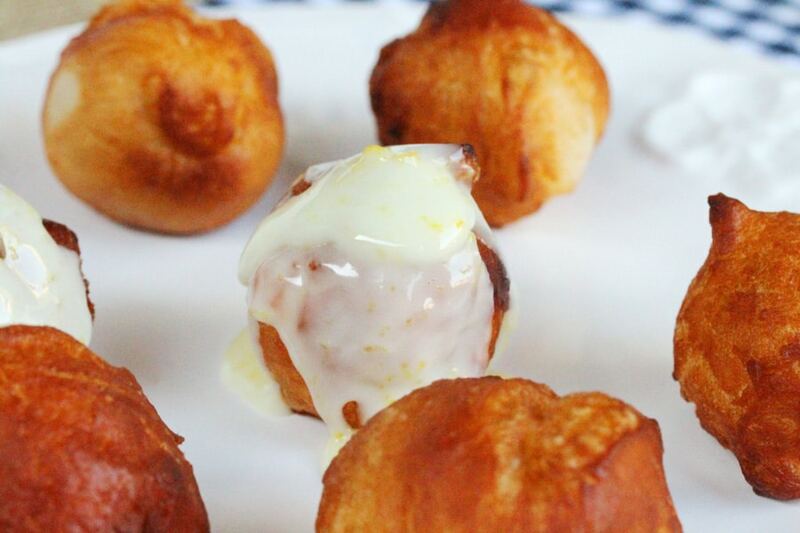 I am so making these this weekend. Yummy!!! Hi Angie, thank you for stopping by. Have a nice weekend! cutest things i’ve seen all day. seriously, i want to devour these! amazing job. Hi Ally, thank you very much! What a fantabulous idea!! 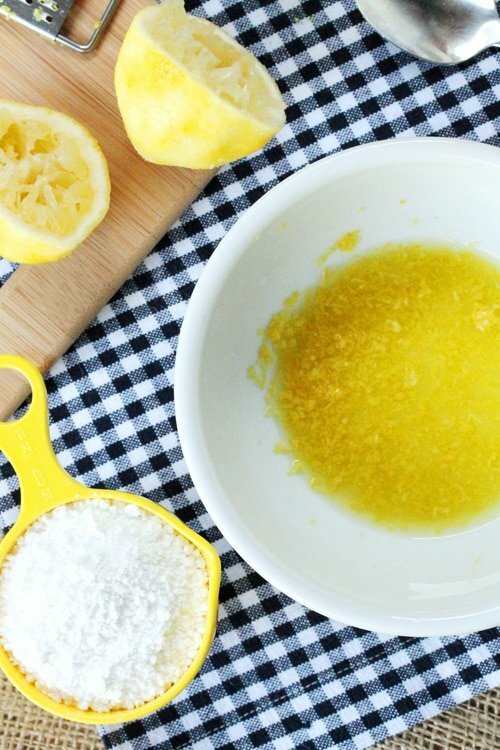 The tart lemon glaze sounds heavenly!